Irish archaeologists have recently solved an ancient problem in US politics. For too long we’ve thought politicians in many major cities were morphed from the snakes St. Patrick banished in the 5th century. Though they claim Irish ancestry, most Irish eschewed their reptilian ways & wanted no part of them. Neither did those descended from Irish immigrants of human origin. Their corruption & servility to power was unseemly, but mostly it was outright criminal. So now archaeologists have found the skull of a Barbary ape at an ancient goddess site in what is now County Armagh dating back from the Neolithic period (390 to 20 BCE). The Barbary ape is a species of monkey unique to North Africa & the island of Gibraltar. Speculations are they were brought to Ireland as pets by traders from the Mediterranean area. 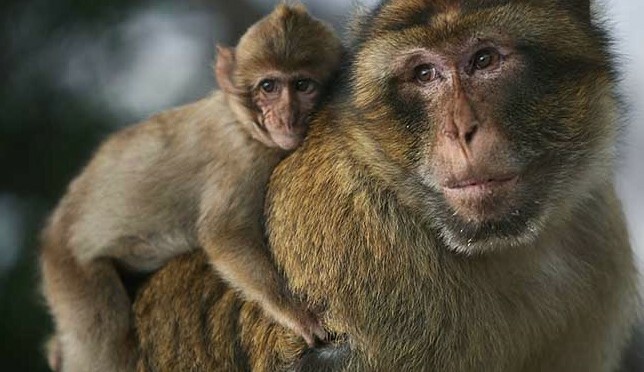 Now there’s surely no offense meant to the Barbary ape who by all accounts has a stellar simian nature. The problem is it makes an admirable pet. It may have fled Ireland under the lash of St. Patrick’s wrath since they’re now all gone from Ireland as surely as the snakes. So it’s entirely possible those politicians have some simian mixed with the reptilian, making the unfortunate political mongrel that claims Irish ancestry in city halls across the US. This is only reported to redeem the reputation of the Irish from US politicians who have maligned it with false claims. It should be made clear, there’s nothing at all wrong with monkeys or snakes nor even a mongrel of the two. But somewhere in that morphing process something went awry, similar to the Frankenstein phenomenon. It was an alchemy of political shame that spawned a cornucopia of stereotypes & parades complete with green beer & phony leprechauns. Did Irish rebels die so Irish politicians can grovel with the worst of them? 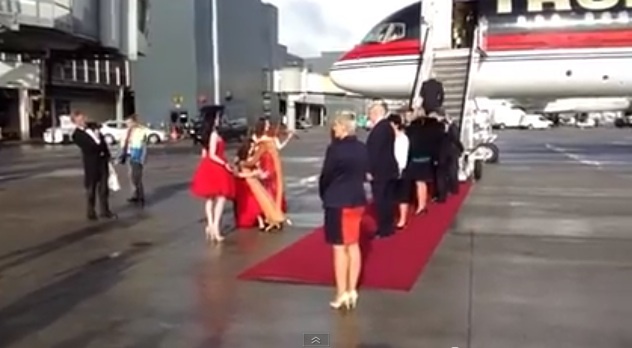 First the Irish government fetes Betty Windsor, now they’re fawning over Donald Trump. Is this what Irish rebels died for!? Or are they turning over in their graves so fast they’ve become an important new source of energy? 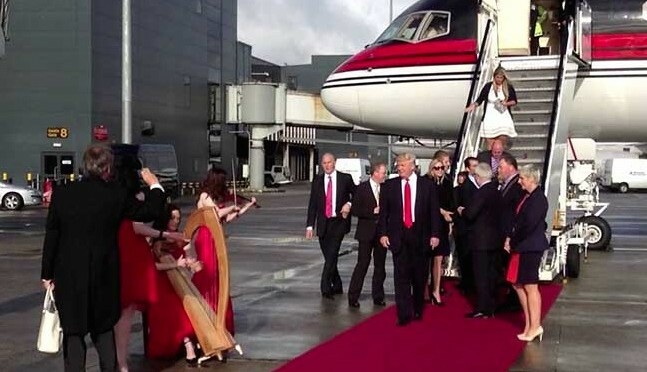 As far as we know, Irish media isn’t known for radical sympathies but even they took issue with this unfortunate scene at Shannon airport, calling it depressing, a pity, & “pathetic gombeenism of the shabbiest & most insecure kind.” We don’t have a clue what gombeenism is but certainly hope it’s sufficient damnation for such groveling. If it isn’t, we leave it our modern Irish rebels to do it in with justice. “The Donald,” as this nincompoop likes to calll himself, is there to set up a $50 million golf-hotel complex in Doonbeg, County Clare. There goes the neighborhood.